OOPS has several weekend camping trips that are very popular. 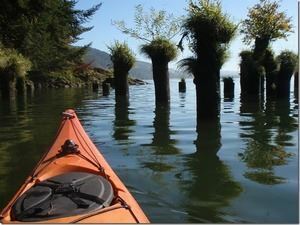 These provide opportunities to share exquisite paddling experiences in areas we don’t get to all the time. Each of these trips has a coordinator to manage signups, reservations and other logistics, as well as planning of trips. Not all of these events run every year. Don’t miss this sought-after OOPS Event in South Puget Sound! Paddle on saltwater in a protected environment with lots of choices, in the company of friends, and close to home. 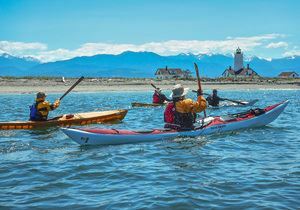 Kayakers are in proximity to four different islands, the Nisqually National Wildlife Refuge and natural bays, and have views of Mt. Rainer and the Olympics. Several coastal rivers converge in the area from Bay Center to Tokeland over a distance of about 25 miles. The rivers are relatively small, easy-going, as they make the transition for a marshy saltwater environment to coastal stream disappearing into the woods. These paddles are more about "being there than getting there". Pace will be as leisurely as time permits, so you can experience the quiet solitude of these gently meandering streams in an area that remains an undiscovered gem only three hours from Portland. Cascade Lakes in Central Oregon Cascade and Deschutes National Forest. 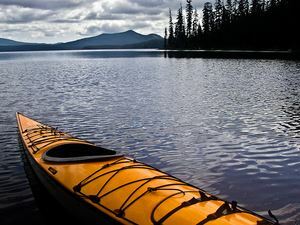 Paddle amongst the beautiful Central Oregon Cascades in high elevation lakes surrounded by Pine trees and lava rocks. Explore Paulina Lake, one of twin crater lakes in the Newberry Crater. Sparks Lake with its crystal clear waters. Hosmer Lake at an elevation 5,000 feet, no motor boats allowed and full of large fish. Fly fishing only !! A day trip down the picturesque Deschutes River passing by rock formations and wildlife. Bend's Water Park is close by to explore. Lots of side activities like Mt. biking and miles of trails to explore await you in Bend. 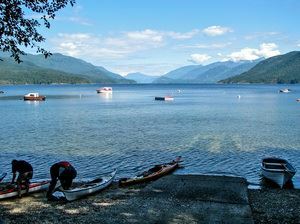 Blessed with warm water, (usually) abundant sunshine and beautiful scenery, the area is a paddler's joy. Islands and inlets beckon. Seals, geese, eagles and sometimes porpoises can be seen. between 1898 and 1917, fascinating Fort Worden features more than 2 miles of beachfront and high bluffs with spectacular views of the Strait of Juan de Fuca. Fort Worden Historical State Park is a 433-acre multi-use park with more than 2 miles of saltwater shoreline and a wide variety of services and facilities.” Washington’s historic Fort Flagler is located right at the head of Puget Sound, on the high bluff at the northern tip of Marrowstone Island. 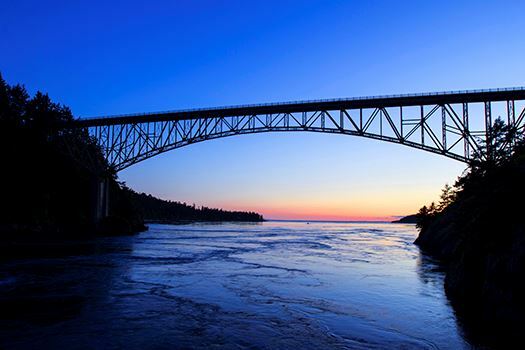 Now a large state park, it’s a great place for history buffs, bicyclists, photographers, and paddlers, with views of sunsets over the Olympic mountains and sunrises over the Cascades. Multiple launch sites, sheltered or challenging, this location has a little bit for everyone. 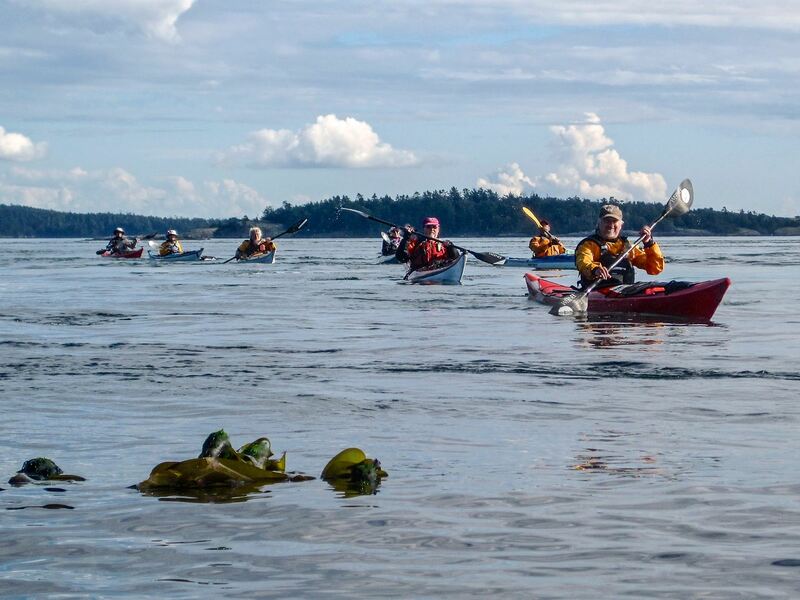 This event will offer kayaking for both newer and more experienced paddlers. Trips will include mild flatwater, gently moving rivers, and ocean waves. Jesse Honeyman State Park sits among the dunes and has two paddleable lakes within its borders. 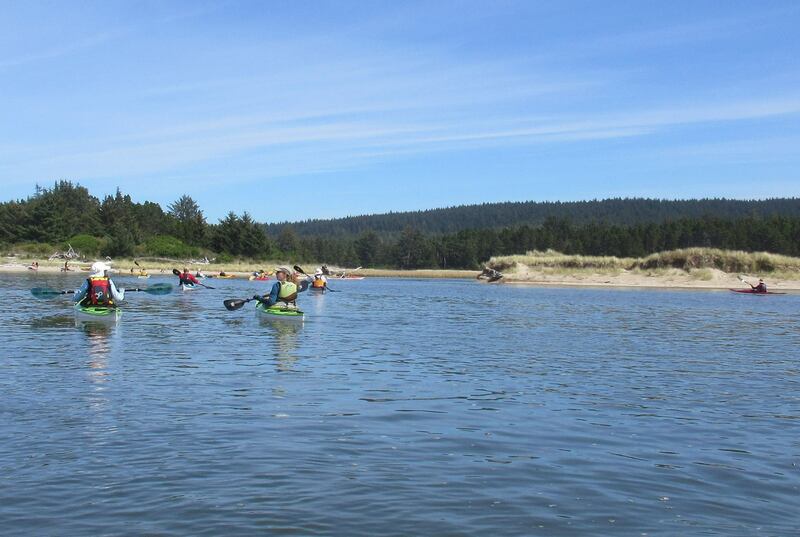 The “main event” will be kayaking the Siltcoos Canoe Trail through forest, dunes, and to the beach. 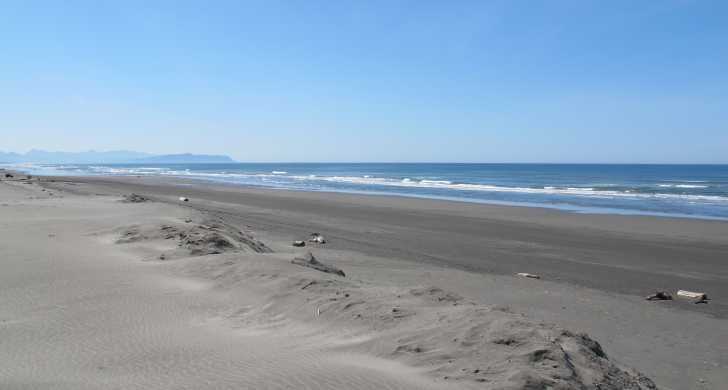 Set between the ocean and the bay, Nehalem Bay State Park is situated on a 4 mile-long sand spit. Just 86 miles west of Portland along the north Oregon Coast, the park features a campground and two day-use areas for the whole family. The campground is set amongst a sea of shore pine, and is bordered by rolling dunes. Walk over the dunes and you’re at the beach building sand castles, flying a kite or relaxing to the sound of the ocean. Beach-combing produces special rewards – treasures that include agates, shells, and occasionally glass floats. A forested 1.8 mile long bike path provides a breathtaking view of the bay. You may see deer and elk grazing, a coyote crossing the road and a variety of birds. Kayaking, crabbing, fishing and clamming are popular activities. This is the real Oregon coast. We make our base at beautiful Sunset Bay State Park, just south of Charleston, Oregon. Hikes along the headlands let you immerse yourself in pristine coastal forest with wildflowers and views of Gregory Point and the Cape Arago Lighthouse along the way. Paddling opportunities range from the bay itself (surf permitting) to the local rivers and secluded sloughs and sanctuaries in the area. Carved out by ancient glaciers, Waldo Lake is noted to be one of the four clearest lakes in the world! It is so clear you can see the bottom 40 feet below you. 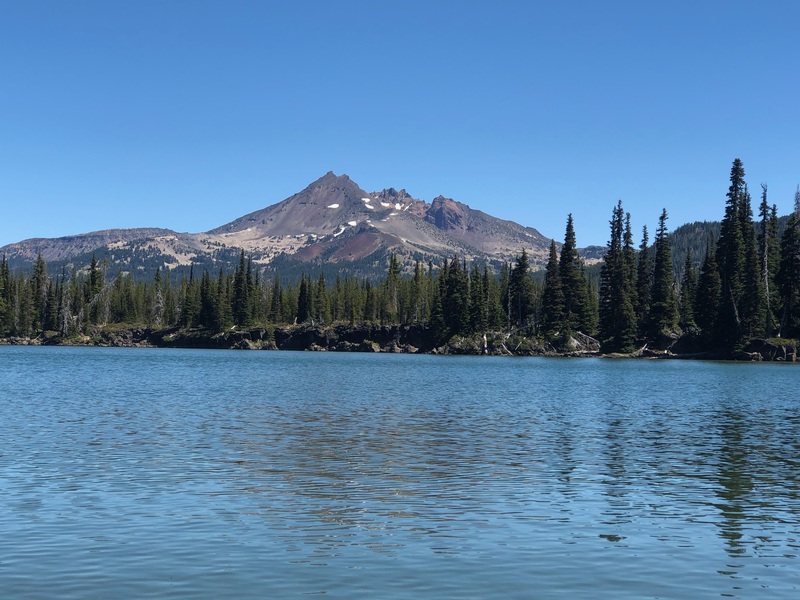 East of Eugene in the Cascade Mountains just hours from Portland, Waldo Lake is a wonderful opportunity for easy paddling, camaraderie, star watching, and maybe a moonlight paddle. 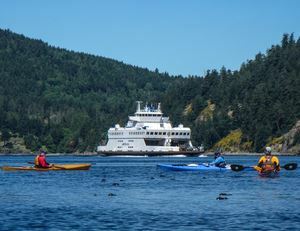 The San Juan Islands are nestled between Bellingham, Washington and Vancouver Island, British Columbia. 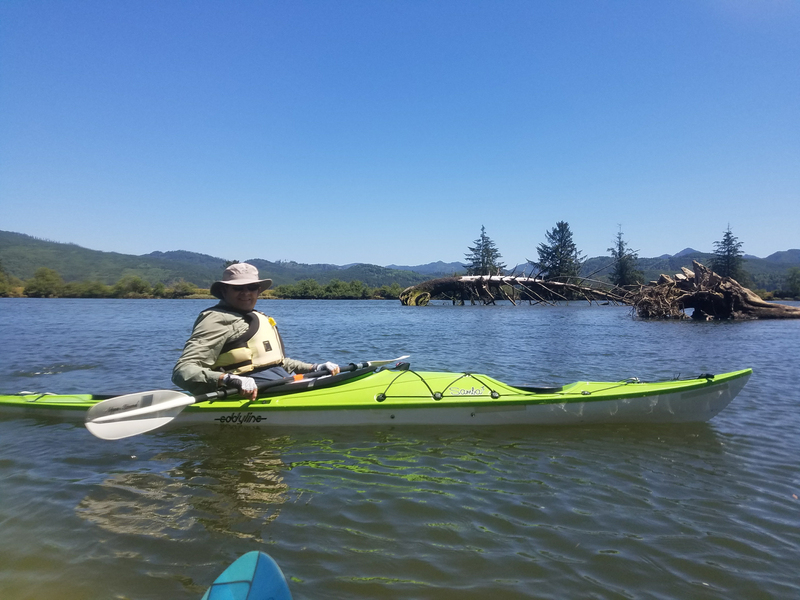 While Washington State land use laws provide for few legal kayak landings (most of the shoreline is privately owned), you will find this a paddler's paradise. 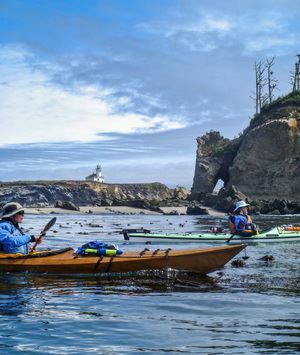 Lots of little islands await exploration, there are current, wind, and navigation challenges to satisfy paddlers of any level, and the chance to see some of the local orca pods (along with numerous sea lions). This is a fabulous Event that for years has been the signature gathering weekend for OOPS. Located nearby in Skamokawa, Washington on the Columbia River, Skamokawa has always been a treat with its beauty, huge ships passing, and spectacular paddles for all levels. A giant potluck and salmon bake are highlights of the weekend. 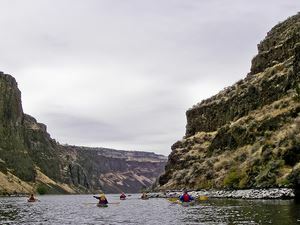 The Lake is a unique feature of Oregon's geology, as it is in a steep canyon formed at the confluence of the Crooked River, the Metolius River, and the Deschutes River. It is known as a nesting and gathering place for Bald Eagles, and some locations on the lake offer stunning views of Mt. Jefferson to the west. 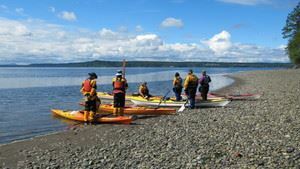 The process for proposing trips for Annual Events is the same as for day trips - but first talk with the individual event organizer or the events organizer on the Boart at events@oopskayak.org to see what trips are needed on which days. Then just follow the same process of submitting a trip as if you are proposing a day trip, via the link at the bottom of the Trips page. After you get home from the Event, please submit your post-trip report like normal, using the link at the bottom of the Trips page. Thank you!